"The situation isn't the same as it was in the past." The North American auto industry is in the midst of a dramatic construction boom. 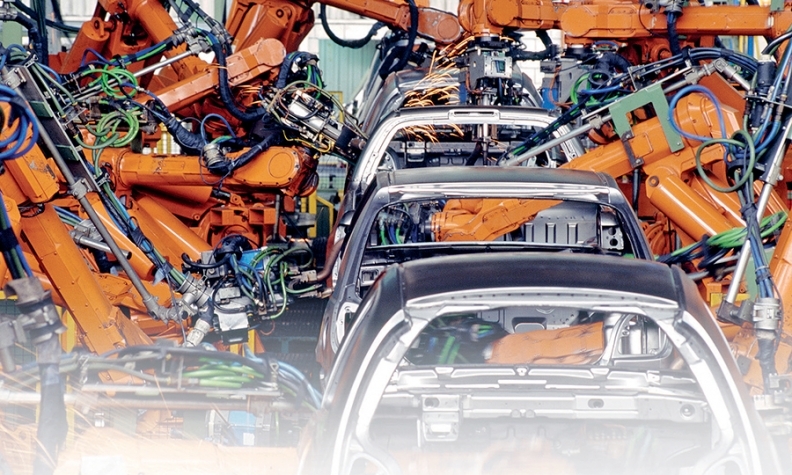 Five automakers are building plants in Mexico. Volvo Cars has chosen South Carolina for a new one of its own. Fiat Chrysler is eyeing Toledo, Ohio, for a new plant or a major expansion. General Motors is spending billions of dollars to improve and enlarge assembly plants across the U.S. and Mexico. Have they lost their minds? Maybe not. Automotive history is a story of boom and bust -- periods of rapid plant expansion as sales surged, followed by market downturns that burdened manufacturers with underused plants, saddled dealers with acres of excess inventory and idled thousands of workers. Moreover, the U.S. market likely is now at its peak with annual sales of about 17 million cars and light trucks a year, and forecasters expect only modest growth over the next few years. 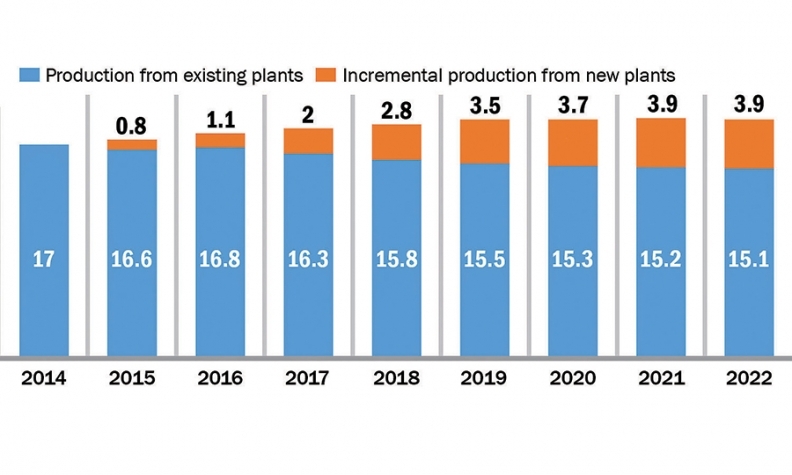 The current building spree will increase North American production capacity by roughly a fifth over the next six years, according to market forecaster IHS. But so far, it isn't setting off alarm bells. "I don't want to say things are different this time around," says Joe Langley, an auto production analyst at IHS who knows well the industry's track record. Yet that's essentially what he, other analysts and industry executives are now saying. Globalization and Detroit's contraction during the Great Recession have changed the structure and nature of the North American auto industry fundamentally. As a result, even with seven new plants coming on line in the next half decade, they say, the risk of ending up with another capacity glut is low. "I'm not worried, not really," said Ron Harbour, a partner at Oliver Wyman and publisher of the Harbour Report, a closely watched industry scoreboard on manufacturing efficiency. "The situation isn't the same as it was in the past." That's not to say the risks are gone. The plant projects are consuming billions of dollars in resources. Although the industry as a whole may not end up with too much capacity, some manufacturers will, with models that flop or overheated market-share ambitions. Meanwhile, some of the export markets that have helped absorb the robust production -- Russia, Brazil and China, for example -- are slowing or crashing. "A couple of those [new] plants are not going to be full," Harbour warns. So what are the reassuring signs that he, Langley and others see? The North American industry now is making more cars and trucks with fewer plants. Ford, GM and FCA operate 19 fewer plants now than they did in 2004. Over that period, foreign automakers have built eight plants, but in aggregate, the capacity of the North American industry is more closely aligned with the demands of the market. If anything, it is short of production capacity in hot segments such as trucks, crossovers and SUVs. 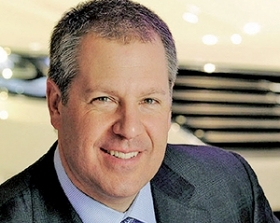 Joe Hinrichs, Ford's president of the Americas, said in a recent conference call that his company is watching new-plant announcements closely. But he added that "the industry at this [capacity] level is still healthy, and the pricing, especially on trucks and SUVs, is still good." As sales recovered over the last five years, automakers increased production mainly by adding third shifts or third crews, not reopening idled plants. As a result, many assembly plants are running at 100 percent or more of "full capacity" -- defined as two eight-hour shifts a day. Langley estimates that 60 percent of the vehicles now produced in North America come from factories running three shifts. "If demand dips, and you have to dial back capacity, you can do it and not fall into a dire situation," Harbour said. That's exactly what Ford did recently with its assembly plant in Wayne, Mich., home of the Focus and C-Max hybrid, whose sales have slowed amid lower gasoline prices. Instead of three shifts, it will run two, a level at which plants can typically generate healthy profits. The Detroit 3's flexible labor agreements make such shift cuts possible. In the past, laid-off workers got paid whether they worked or not, so automakers usually kept the lines running and churned out far more cars than the market could support, then spent millions more on incentives to sell them. Modern plants also are capable of building multiple models, shifting production toward better sellers as needed. Honda's East Liberty, Ohio, plant, for example, makes the Acura RDX and Honda CR-V. It soon will add the Acura MDX in place of the slow-selling Crosstour. Some of the new plants and expansions planned by foreign automakers are devoted to vehicles that already are sold in North America and merely will displace production from plants in other parts of the world. The Nissan Murano, Lexus ES and Honda Fit all once were imported from Japan but now are produced in North America. Likewise, Mercedes-Benz now makes the C class in Alabama and cut back production of that car in Germany, where labor costs are higher. When BMW's new plant in Mexico opens, it likely will produce vehicles that currently are imported from Europe, such as the 3 series. Langley estimates that the new capacity -- either from new plants or expansions of existing factories -- will boost North American output by 4 million vehicles by 2022. But nearly half of that production, 1.9 million, will be shifts of production of existing vehicles from overseas to North America. A decade ago, U.S., Canada and Mexico auto plants exported just a small number of vehicles outside the North American free-trade zone, and many were BMWs made in South Carolina. But over the last 10 years, U.S. production has become much more cost-competitive. Labor and health care costs have stabilized, and Japanese and German manufacturers opened nonunion plants in the South. For a time, prolonged weakness in the dollar further supported U.S. production, though that advantage has eroded. Many of the plants going up in Mexico also will ship their vehicles abroad, taking advantage of Mexico's many free-trade agreements. Today, almost every manufacturer exports from North American plants to the Middle East, Russia, China and other overseas markets. So far, the Detroit 3 have resisted the urge build new plants or reopen closed facilities. GM is spending $5 billion to double capacity at its plants in Mexico and an additional $3.6 billion on improving or expanding U.S. plants, but it's holding the line on entirely new plants. "Most of our focus is on breaking bottlenecks, not only in our plants but suppliers' plants so we don't have to add new bricks and mortar," GM CEO Mary Barra said last month during a conference call to discuss GM's first-quarter earnings. The highlight of that report: In North America, where most of its factories are full, GM made an operating profit of $2.18 billion.